Luckner Lorient who has been a pastor at Eglise Baptist Clarte Celeste in Flatbush, was picked up at Miami International Airport on Tuesday July 26, 2016 as he returned to the United States from Haiti. 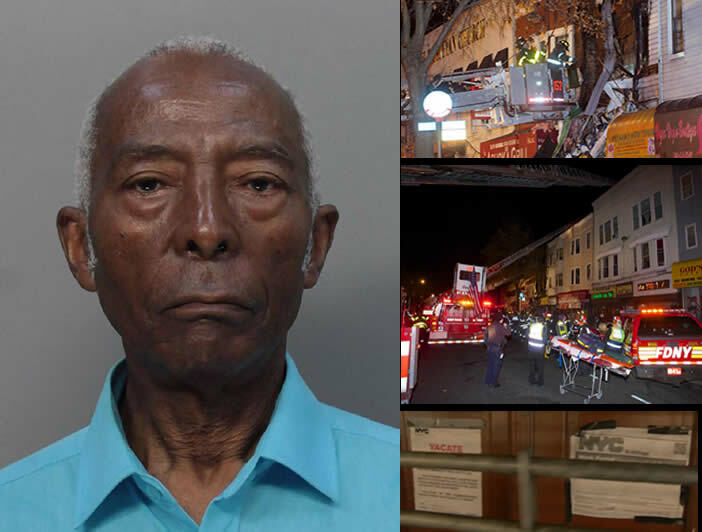 The arrest came as a result of a deadly fire that took place back on Nov. 19, 2014, at 1434 Flatbush Ave., in a building owned by him. That particular building housed his church located on the ground floor but also some cramped apartments on the floors above. Two months before the fire, Luckner Lorient was fined by the city for subdividing the basement, second and third floors, with one subdivided apartment having 21 people living in it. It was the little church that could. And while it took many years to complete the church to the vision of the man who first had the dream, the Notre Dame D'Haiti, is an example of what determination and faith can accomplish. The day the church opened its brand new doors for its first service of Mass, the crowd was immense. They watched as the man who started it all, Archbishop Thomas Wenski, handed over the keys to the current priest of Notre Dame D'Haiti, offering up a prayer while the crowd clapped. The new building took eight years of fundraising to accomplish, with $1.5 million dollars being donated by the Archdiocese of Miami through a loan to be repaid by donors and the church's congregation. 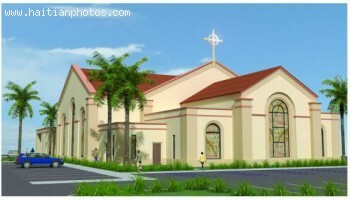 The congregation, expected to fill all 1,200 seats within the church and 166 within the chapel, will be double what it used to be as the new facility is twice the size of the old church--a converted cafeteria. A Christian organization, Church of Bible Understanding (CBU), is not doing the good they proclaim they are. They run a two-home orphanage in the Port-au-Prince hills, which Haiti's Social Welfare Institute (SWI) has rated yellow, meaning it is not measuring up to minimum national standards. CBU claims on its tax returns it is laying out $2.5 million yearly to run the orphanage. But when the Associated Press made a surprise visit to the homes, they found alarming conditions: dark and barren filthy rooms; ancient, worn-out mattresses, and reeking odors permeating the air. The homes were also overcrowded. To fund the operation of the orphanage, CBU runs several antique stores in Manhattan, where items sell as high as $20,000-plus dollars. CBU tax returns don't disclose how much cash is actually being spent, due to vague descriptions of in-kind items. A CBU spokesman says it spends $1 million yearly, contradicting the amount they claim on IRS forms. 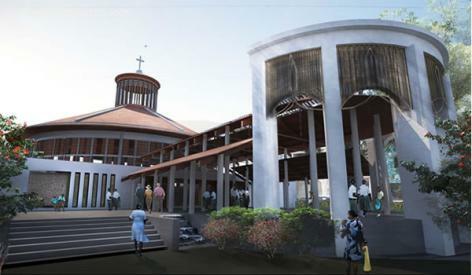 The plans for a new episcopal cathedral, on the Port-au-Prince site of the old one, ruined in the 2010 earthquake, was unveiled recently at the Chicago meeting of the Episcopal Church Executive Council. The Holy Trinity Cathedral will be twice as big as the original and will be a landmark of new-found beauty, bonded with those pieces salvaged from the old church. The design was created through collaboration between the Episcopal Church, the Haitian Diocese, the Studio Drum Architects and Kerns Group Architects from Arlington, Virginia. From the rubble the church had been able to save three murals of note around the world that depict traditional stories from the bible cast with characters of Haitian characteristics, and bronze bells that will be used in the new cathedral as part of the rebuilding. 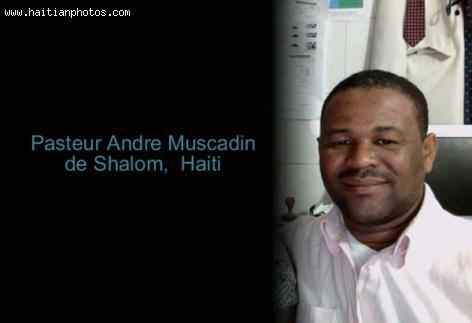 Christian minister, Pierre Andre, has achieved fame in Haitian religious circles as an original voice of God. Andre began his theological career as an untrained minister in Delmas's Church of God, mesmerizing parishioners with his gospel sermons. He parlayed that position into hosting a weekly radio show, learning how to speak the language of the common people in Delmas. It must be noted here poor Haitians do not have money to purchase TV sets. But radios sets are cheap and nearly every Haitian household owns one. Pastor Pierre Andre reputation as a natural gospel preacher attracted the notice of the Delmas Church School of Theology. It awarded Andre a scholarship to pursue theological studies to become a sanctified pastor. The Catholic cardinals picked a new pope among themselves on Wednesday, March 13, 2013. He is Cardinal Jorge Mario Bergoglio. The new pope,Jorge Mario Bergoglio, 76, will be called Francis, the 266th pontiff of the Roman Catholic Church. White Smoke Rises Over Vatican, the Catholic Church has made history. The New Pope is the first non-European leader of the church in more than 1,000 years. This is one of the best achievements of the Centre D'Art. Under the direction of DeWitt Peters and Selden Rodman, artists such as Philome Obin, Castera Bazile, Rigaud Benoit, Gabriel Leveque, Wilson Bigaud, Jasmin Joseph and Prefete Dufaud were all involved in this project to paint the Holy Trinity Cathedral Murals.